A, Based on hospital volume. B, Based on hospital location. From the 2008 to 2012 Healthcare Cost and Utilization Project National Inpatient Sample database. eTable 3. Effect Estimates of Patients Who Underwent Autologous Free Flap Breast Reconstruction by Hospital Volume From 2008 to 2010 in the U.S.
eTable 4. Effect Estimates of Patients Who Underwent Autologous Free Flap Breast Reconstruction by Region From 2008 to 2010 in the U.S.
Howlader N, Noone AM, Krapcho M, et al, eds. SEER Cancer Statistics Review, 1975-2013. Bethesda, MD: National Cancer Institute; based on November 2015 SEER data. https://seer.cancer.gov/csr/1975_2013/. Published April 2016. Accessed November 20, 2016. American Society of Plastic Surgeons. 2015 Plastic surgery statistics. http://www.plasticsurgery.org/news/plastic-surgery-statistics.html. Accessed November 2016. Healthcare Cost and Utilization Project. NIS database documentation. http://www.hcup-us.ahrq.gov/db/nation/nis/nisdbdocumentation.jsp. Published 2011. Accessed November 20, 2016. Healthcare Cost and Utilization Project. Cost-to-charge ratio files. https://hcup-us.ahrq.gov/db/state/costtocharge.jsp. Accessed November 20, 2016. Question What are the variables that contribute to interhospital cost variation in autologous free flap breast reconstruction? Findings In this nationwide, population-based secondary cross-sectional analysis that included 3302 women who underwent autologous free flap breast reconstruction in the United States, high-volume hospitals were more costly but had fewer complications. Compared with the Northeast, the West used more hospital resources, with longer length of stay, despite having patients with lower preoperative risk factors and similar complication rates. Meaning Further investigation is needed to uncover cost drivers for autologous free flap breast reconstruction; expedited discharge of patients with low preoperative risk factors may be an avenue to decrease expenditure, without compromising outcomes. Importance Cost variation among hospitals has been demonstrated for surgical procedures. Uncovering these differences has helped guide measures taken to reduce health care spending. To date, the fiscal consequence of hospital variation for autologous free flap breast reconstruction is unknown. Objective To investigate factors that influence cost variation for autologous free flap breast reconstruction. Design, Setting, and Participants A secondary cross-sectional analysis was performed using the Healthcare Cost and Utilization Project National Inpatient Sample database from 2008 to 2010. The dates of analysis were September 2016 to February 2017. The setting was a stratified sample of all US community hospitals. Participants were female patients who were diagnosed as having breast cancer or were at high risk for breast cancer and underwent autologous free flap breast reconstruction. Main Outcomes and Measures Variables of interest included demographic data, hospital characteristics, length of stay, complications (surgical and systemic), and inpatient cost. The study used univariate and generalized linear mixed models to examine associations between patient and hospital characteristics and cost. Results A total of 3302 patients were included in the study, with a median age of 50 years (interquartile range, 44-57 years). The mean cost for autologous free flap breast reconstruction was $22 677 (interquartile range, $14 907-$33 391). Flap reconstructions performed at high-volume hospitals were significantly more costly than those performed at low-volume hospitals ($24 360 vs $18 918, P < .001). Logistic regression demonstrated that hospital volume correlated with increased cost (Exp[β], 1.06; 95% CI, 1.02-1.11; P = .003). Fewer surgical complications (16.4% [169 of 1029] vs 23.7% [278 of 1174], P < .001) and systemic complications (24.2% [249 of 1029] vs 31.2% [366 of 1174], P < .001) were experienced in high-volume hospitals compared with low-volume hospitals. Flap procedures performed in the West were the most expensive ($28 289), with a greater odds of increased expenditure (Exp[β], 1.53; 95% CI, 1.46-1.61; P < .001) compared with the Northeast. A significant difference in length of stay was found between the West and Northeast (odds ratio, 1.25; 95% CI, 1.17-1.33). Conclusions and Relevance There is significant cost variation among patients undergoing autologous free flap breast reconstruction. Experience, as measured by a hospital’s volume, provides quality health care with fewer complications but is more costly. Longer length of stay contributed to regional cost variation and may be a target for decreasing expenditure, without compromising care. In the era of bundled health care payment, strategies should be implemented to eliminate cost variation to condense spending while still providing quality care. In women undergoing mastectomy, reconstructive options range from implant-based to autologous breast reconstruction. The most advanced and technically challenging forms of autologous breast reconstruction involve free tissue transfers with microvascular anastomotic techniques. These free tissue transfers provide unique benefits ranging from durable natural-appearing results to superior long-term satisfaction from the patient’s perspective.8-11 Relative to implant-based reconstruction techniques, autologous free flap breast reconstructions are resource intensive.12-15 In the current political climate of affordable care, policy makers try to find ways to cut cost while still providing quality care. 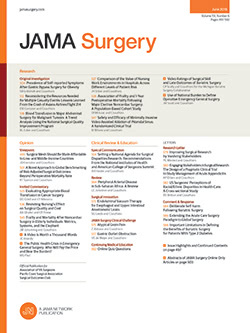 To minimize cost for breast reconstruction, findings have shown that microsurgical techniques increase expenditure compared with pedicled or implant-based techniques.16 Such studies have focused on patient-related and surgery-specific factors but have not examined hospital-related factors. Decreasing interhospital variation represents another possible avenue to standardize care and reduce cost. To date, little is known about interhospital variation of health care expenditure for autologous free flap breast reconstruction. We aimed to evaluate interhospital cost variation for autologous free flap breast reconstruction. Our objective was to characterize hospital volume variations and regional differences to help target strategies to decrease health care expenditure. The Healthcare Cost and Utilization Project National Inpatient Sample (NIS) database from 2008 to 2010 was used to conduct a secondary cross-sectional analysis. The dates of analysis were September 2016 to February 2017. The NIS is a stratified database developed for the Healthcare Cost and Utilization Project (HCUP). A 20% stratified sample of all US community hospitals is randomly selected in the NIS database. The NIS contains a sample of all nonfederal, short-term hospitals, excluding rehabilitation facilities and long-term acute care hospitals. After adjustment by trend weights, it comprises more than 35 million hospitalizations per year.17 The database provides patient-level health care data, hospital-related information, and health care resource use data from the largest all-payer administrative database. The present study was assigned exempt status by the University of Michigan Institutional Review Board. All female patients who were diagnosed as having breast cancer or were at high risk for breast cancer and underwent postmastectomy breast reconstruction with autologous free flaps comprised our study cohort. Autologous free flaps included in this study are listed in eTable 1 in the Supplement. Patients were identified using the International Classification of Diseases, Ninth Revision, Clinical Modification (ICD-9-CM) diagnosis codes and the ICD-9-CM procedure codes. We ensured that the cohort had a diagnosis code for breast cancer or were at high risk for breast cancer and had an ICD-9-CM procedure code for autologous free flap breast reconstruction. All women who underwent breast reconstruction with latissimus dorsi flaps or pedicled flaps were excluded from this study (eFigure in the Supplement). Total Cost = Total Charge × Group Average All-Payer Inpatient Cost-to-Charge Ratio. The group average all-payer inpatient cost-to-charge ratio, which is the weighted average for the hospitals in each group (defined based on state, urban vs rural, private vs public, and number of beds), was available from the cost-to-charge ratio files from 2008 to 2010 for the NIS database.18 The consumer price index from September 2016 was used to inflate all cost value to the most up-to-date US dollar value. We implemented the area wage index, a measure of the relative hospital wage level in a geographic area compared with the national average hospital wage level, provided in the cost-to-charge ratio files to adjust cost measures with the national standard average.19-21 This adjusted cost was our final cost value for all analyses in this study. The variables of interest consisted of patient and hospital characteristics. Patient characteristics included age, length of stay (LOS), insurance type, median household income national quartile, race/ethnicity, Charlson Comorbidity Index (CCI), surgical complications, and systemic complications. Age, measured as a continuous variable, was presented as the age of the patient at the time of breast reconstruction. Race/ethnicity was categorized into white, black, Hispanic, and other minorities. An unspecified group was created for race/ethnicity to include observations with missing values in our regression models. Insurance type comprised Medicare, Medicaid, private insurance, and other insurance. The median household income included 4 quartiles, with the fourth quartile representing the highest income level. Location encompassed Northeast, Midwest, South, and West. Surgical complications and systemic complications included are listed in eTable 2 in the Supplement. In this model, we coded surgical complications and systemic complications as being present or absent. The CCI was used to classify patient comorbidity, and 3 categories were used (CCI of 0, 1, or ≥2).22,23 The CCI, surgical complications, and systemic complications variables were defined by the ICD-9-CM codes listed in eTable 2 in the Supplement. In our model, we assessed for effect modification and collinearity and found no interaction between our predictors and hospital volume or hospital location. We examined the association between hospital volume and cost of the autologous free flap breast reconstruction surgery and adjusted for patient and hospital characteristics. Patient and hospital characteristics and outcomes between low-, medium-, and high-volume hospitals were compared using the Wilcoxon rank sum test because our data were not normally distributed. Similar analyses were used to compare patient and hospital characteristics and outcomes between the most costly region and the least expensive region. We used a generalized linear mixed model to examine the association between patient and hospital characteristics and cost. The primary outcome of the model was hospital cost. We controlled for patient characteristics and hospital characteristics. We adjusted for repeated measures within each hospital by putting the hospital identifier variable as a random effect. We assumed a gamma distribution for the cost variable and used a log link function for cost in the model. The data analysis was generated using statistical software (SAS, version 9.4; SAS Institute Inc). P values were calculated with 2-sided F test. During the study period (2008-2010), 3302 women underwent autologous free flap breast reconstruction. Patient characteristics are listed in Table 1. Of these patients, 1999 had immediate breast reconstruction, and 1303 had delayed breast reconstruction. The median cost of the hospital stay was $22 677 (interquartile range [IQR], $14 907-$33 391). A total of 2712 patients (82.1%) had private insurance. There were 750 surgical complications (22.7%) and 953 systemic complications (28.9%). In total, 362 hospitals were included in the cohort. Patient characteristics, hospital data, and cost are listed in Table 2 after categorizing our cohort into 3 groups by hospital volume. There were 322 hospitals in the low-volume group, 31 hospitals in the medium-volume group, and 9 hospitals in the high-volume group. High-volume hospitals had significantly increased expenditure. The median cost at high-volume hospitals was $24 360 (IQR, $15 167-$34 619) compared with $18 918 (IQR, $12 856-$29 186) at low-volume hospitals (P < .001). Fewer surgical complications were present in the high-volume group compared with the low-volume group (16.4% [169 of 1029] vs 23.7% [278 of 1174], P < .001). Systemic complications followed a similar pattern, with high-volume hospitals having the lowest systemic complication rate (24.2% [249 of 1029] vs 31.2% [366 of 1174], P < .001). Hospital factors, including teaching hospital status, hospital type, and hospital bed size were also different between high-volume hospitals and low-volume hospitals. High-volume hospitals were more likely to be teaching hospitals and government hospitals and have large bed size. Differences in cost, patient factors, and hospital factors between procedure volumes are listed in eTable 3 in the Supplement. There was a significant difference in cost between high-volume and low-volume hospitals and between medium-volume and low-volume hospitals, with high-volume and medium-volume hospitals being more expensive. We then compared the most costly region, the West, with the least expensive region, the Northeast. A total of 798 patients in the West and 617 patients in the Northeast underwent autologous free flap breast reconstruction. Table 3 lists patient-specific and hospital-related differences between these 2 regions. The Northeast had more teaching hospitals (91.9% [567 of 617] in the Northeast and 69.2% [552 of 798] in the West), more government hospitals (100% [617 of 617] in the Northeast and 70.4% [562 of 798] in the West), and smaller bed size (71.8% [443 of 617] large bed size in the Northeast and 82.0% [654 of 798] large bed size in the West). Hospital cost was significantly higher in the West ($28 289) compared with the Northeast ($16 461) (P < .001). Differences in cost, patient factors, and hospital factors between the West and Northeast are listed in eTable 4 in the Supplement. Patients in the West had a median LOS of 4 nights (IQR, 4-5 nights), and patients in the Northeast had a median LOS of 4 nights (IQR, 3-5 nights) (Table 3). The LOS was significantly different between the 2 geographic groups (odds ratio [OR], 1.25; 95% CI, 1.17-1.33). In addition, more high-volume hospitals were present in the West compared with the Northeast (39.1% [312 of 798] vs 21.2% [131 of 617]). Hospital costs in the West were higher than in the Northeast across all surgical volume categories ($32 913 vs $21 704 for high volume, $33 310 vs $17 339 for medium volume, and $29 229 vs $16 539 for low volume). Patients in the Northeast had more comorbidities than those in the West. There were no differences in surgical complications (OR, 0.90; 95% CI, 0.70-1.16; P = .38) or systemic complications (OR, 0.89; 95% CI, 0.70-1.14; P = .20) between the 2 regions. On multivariable analysis, hospital volume, hospital location, comorbidities (CCI), longer LOS, and the presence of complications were predictors of increased hospital expenditure (Table 4). Patients with a CCI of 1 or more compared with a CCI of 0 had significantly increased cost (Exp[β], 1.09; 95% CI, 1.03-1.16; P = .004). Exp[β] indicates the ratio of the average cost between the reference group and each category. For example, 1.09 is the ratio of the average cost of care for patients with a CCI of 1 or more and the average cost of care for patients with a CCI of 0. Longer LOS was associated with increased expenditure (Exp[β], 1.11; 95% CI, 1.10-1.11; P < .001), and complications increased resource use. The median cost for a patient with a surgical complication was $29 399 (IQR, $20 778-$42 359) (compared with $20 616 [IQR, $13 975-$30 488] without), and the median cost for a patient with a systemic complication was $24 525 (IQR, $15 819-$35 149) (compared with $21 922 [IQR, $14 605-$32 500] without). High-volume hospitals (Exp[β], 1.06; 95% CI, 1.02-1.11; P = .003) and medium-volume hospitals (Exp[β], 1.07; 95% CI, 1.03-1.11; P < .001) predicted greater expenditure (Table 4 and Figure, A). Geographic variation was also associated with disparate resource use, with the West being the most expensive region (Exp[β], 1.53; 95% CI, 1.46-1.61; P < .001) (Table 4 and Figure, B). Using a nationwide, generalizable estimate of surgical performance and cost, this study demonstrates significant interhospital cost variation for autologous free flap breast reconstruction. High procedure volume was associated with increased hospital spending. However, this elevated cost was coupled with improved surgical outcomes. Geographic cost variation was also present, with the West having the greatest expenditure. Given the current political environment of cost containment, interhospital variation has substantial fiscal and policy implications. In this study, higher-volume hospitals were more expensive than lower-volume hospitals but had fewer complications. Substantial literature within different surgical fields confirms an association between surgical volume and improved outcomes. These studies have been performed for high-risk procedures, such as coronary artery bypass graft surgery, esophagectomy, oncologic resections, and abdominal aortic aneurysm repairs.33-36 Recently, outcomes and surgical volume for breast reconstruction have been studied. In 2013, Albornoz et al24 investigated this trend and concluded that higher-volume hospitals had improved surgical and systemic outcomes. Our study corroborates these findings. However, improved outcomes at high-volume hospitals came with increased cost. Beyond the initial procedure for breast reconstruction, patients are managed for many months, and autologous free flap breast reconstruction complications over time lead to increased expenditure.16,37 Although impossible to ascertain with the NIS database, there might be financial benefits gained from fewer complications over the entire period of care for breast reconstruction. Higher-volume hospitals were more likely to be teaching hospitals and government hospitals and have larger bed size, and these underlying hospital characteristics may also contribute to expenditure. Regional disparities in care have been identified as one possible solution to decrease health care costs. Regional variation for autologous free flap breast reconstruction was predictive of increased health care use. The highest cost difference was seen in the West ($28 289) compared with the Northeast ($16 461). Regional differences have been seen in other medical and surgical fields.21,28,38-40 Obirieze et al21 observed significant regional variations in trauma care, with the West having an increased relative cost of liver and splenic injuries, pneumothoraces, tibial fractures, and traumatic brain injuries compared with the Northeast. Rettenmaier and Wang38 examined regional variations of medical expenditure on the state level and concluded that fee-for-service reimbursement contributes greatly to regional variation. Reasons behind this trend include discrepancies in efficiency of care41 and health status of patients.42 We also found a significant difference in LOS in the West compared with the Northeast. These differences were in spite of caring for patients with fewer comorbidities in the West and in the absence of differences in postoperative complications. However, in this study, the severity of postoperative complications within the different regions is unknown and may have contributed to discrepancies in LOS. Nonetheless, in efforts to decrease expenditure, expedited discharge of patients with low preoperative risk may help contain costs, without compromising outcomes. The fact that there were more high-volume hospitals in the West may have contributed to increased expenditure; however, low-, medium-, and high-volume hospitals were more expensive in the West. Consequently, increased cost in the West cannot be completely explained by hospital volume. Differences in practice patterns must be further studied as an avenue to reduce spending. Our study has some limitations. The complications studied herein are only based on one episode of care, namely, the episode associated with the autologous free flap breast reconstruction. Therefore, late complications, such as fat necrosis, late flap failure, abdominal hernia and bulge formation, late surgical site infections, wound dehiscence, and revision surgical procedures, could not be evaluated. In addition, cost beyond the one episode of care could not be studied. Furthermore, this study is a cross-sectional analysis, making it difficult to establish causality. We can only comment on associations between certain variables. Furthermore, this data set includes a unique hospital identifier but does not provide the identity of a specific hospital or the clinician; consequently, we cannot make conclusions about specific hospitals or surgeons. For cost, the NIS contains the total inpatient hospital charges and does not include physician fees. The physician fees for autologous free flap breast reconstruction vary nationally. For instance, “carve-out” arrangements with insurance companies provide much better surgeon payments and may further contribute to disparities in cost. However, these disparities cannot be studied using the NIS owing to these limitations. Furthermore, the NIS database lacks the granularity to determine the exact finances of the hospitals that may allow for alternative interpretations of the data. In addition, we separated our cohort into 3 groups based on surgical volume. The definition of high volume is based on the 90th percentile of the number of free flaps performed and has been used in studies24,25 investigating hospital volume and free flap reconstruction. However, these volume cutoffs have not been validated and may be a source of bias. In addition, in the current political climate, the fate of health care is unknown, and health care reimbursement is different from the cost structure in place during the study period. Given these changing policies, the generalizability of our study is restricted. Last, the NIS only includes data on insured patients, limiting the generalizability of our findings to the uninsured. Despite these limitations, this nationwide study of interhospital cost variation for autologous free flap breast reconstruction provides insight into ways to minimize expenditure while still providing high-quality health care. Although hospital volume was associated with increased cost, fewer surgical complications emphasize the importance of procedure volume and outcomes. This study only considers the index procedure episode of care, and long-term financial benefits from fewer complications may be realized when accounting for the entire period of care for breast reconstruction. This study also uncovered regional variation in expenditure for free tissue transfer for breast reconstruction. In the West, we found increased LOS and expenditure, despite comparable preoperative risk and complications rates. Measures to expedite patient discharge while still maintaining quality care need to be investigated to diminish this regional variation. With changes in health care reimbursement, it is imperative to recognize interhospital variation and to target avenues to decrease spending. This study highlights the need for additional investigation into drivers of interhospital variation for autologous free flap breast reconstruction. Accepted for Publication: April 16, 2017. Corresponding Author: Kevin C. Chung, MD, MS, Section of Plastic Surgery, University of Michigan Health System, 1500 E Medical Center Dr, 2130 Taubman Center, Ann Arbor, MI 48109-5340 (kecchung@umich.edu). Author Contributions: Dr Billig and Ms Lu had full access to all of the data in the study and take responsibility for the integrity of the data and the accuracy of the data analysis. Study concept and design: Billig, Chung. Drafting of the manuscript: Billig. Study supervision: Billig, Momoh, Chung. Funding/Support: Dr Chung receives research funding from the National Institute of Arthritis and Musculoskeletal and Skin Diseases of the National Institutes of Health (Midcareer Investigator Award in Patient-Oriented Research 2 K24-AR053120-06). Additional Contribution: We would like to acknowledge Ting-Ting Chung of Chang Gung Memorial Hospital for her help with the data analysis of this study. No compensation was received for this contribution.